Carrots and curry were made for each other. Michael Voltaggio’s cold carrot salad with Thai flavors at Ink., in Los Angeles, is so superbly crafted that I thought about it for days after trying it. At home I don’t do anything with liquid nitrogen or as many bells and whistles as Michael does in his restaurant. Nor should you, that’s the joy of dining out, to see what great chefs can do. 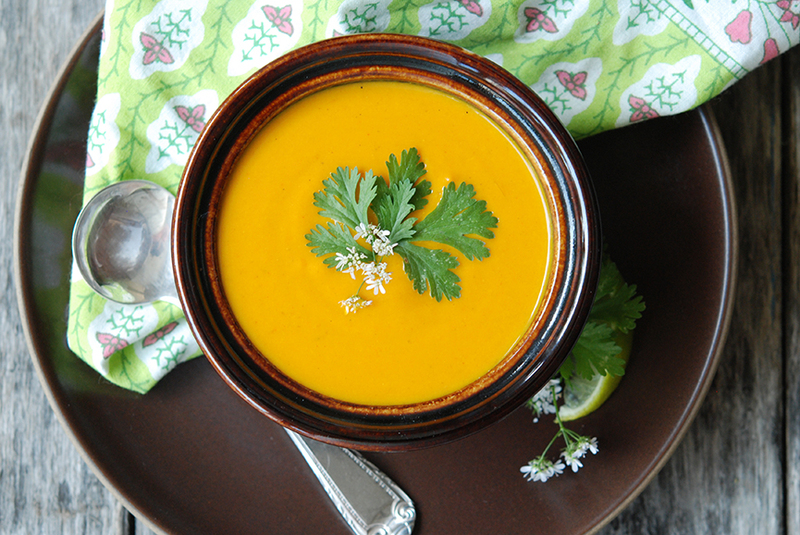 On the home front, I love taking that inspiration and creating dishes like this carrot soup. MAKE AHEAD The soup can be refrigerated overnight. Reheat gently before serving.